Today we continue our journey through Christmas Treat Land with our friends Sharon & Denise of BeBetsy. And they have a very special treat for us, a Christmas Rum Cake! Yum! 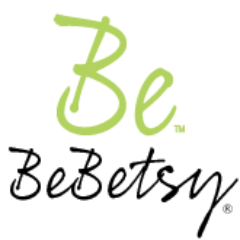 Sharon and Denise are sisters born a scant 17 months apart and together they founded BeBetsy! They love good food and drink, fashion, beauty and creative endeavors. They are preparing to launch Simply BeBetsy – where talented bloggers are invited to create their own galleries of inspirational ideas for all to see and enjoy. The wonderful aroma of this cake baking in the oven is a sure sign that the holidays are close at hand. This is our family’s go-to cake for the winter holidays. Everyone loves the rich, moist and fragrant cake. Of course, this is to be enjoyed by adults only as the rum is in the cake batter and is also used to make the buttery glaze on the outside. Now here is a little secret – it starts with a yellow cake mix! Oh no, shh, don’t tell. Normally, we are all about homemade cake but we are also realistic and if we can get an amazing cake that people rave about we are doing it! So here’s the recipe and we hope you enjoy it! Preheat oven to 325 degrees. Grease and flour a 12 cup Bundt pan. Sprinkle the chopped pecans over the bottom of the prepared pan. Combine the cake mix, eggs, water, oil and rum, mixing well. Pour into the pan. 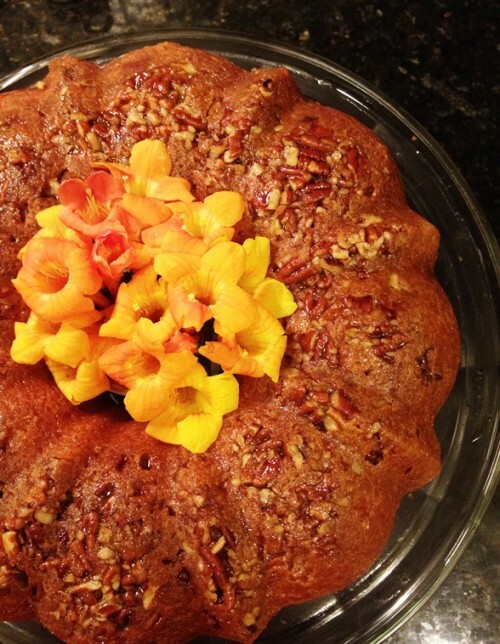 Bake until a toothpick inserted in the center of the cake comes out clean. Depending on your oven if may be 45 – 55 minutes. Cool on a rack for 15 -20 minutes and invert onto your serving plate. Melt the butter in a saucepan. Stir in water and sugar. Boil for 5 minutes, stirring constantly. Remove from heat, stir in rum. Let cool 5 – 10 minutes. You will need to poke holes every 1/2 inch or so around the top of the cake and alternating a little side-to-side off center in preparing to glaze it. and also brush all surfaces of the cake to get an even color. Keep going until the glaze is gone. This cake is best served after it sits a few hours and the following day it will be even better, just keep it covered. It also freezes very well. We hope you enjoy this as much as our families do! Thanks so much to the ladies of BeBetsy for being here today! Be sure to go by and pay them a visit over at their blog. You can also follow them on Twitter, Facebook, and Pinterest. Thank you Jerri for having us as a Guest! We so appreciate it and hope your readers enjoy our cake. Best wishes for a fantastic Thanksgiving.